There have been 146 images uploaded to this topic. (View topic image gallery). 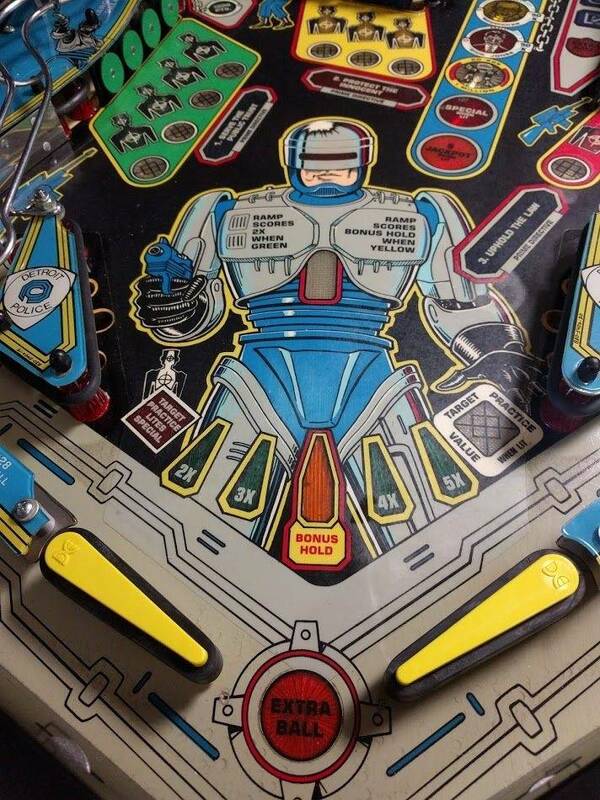 We're are all my robocop pins at!!!!!!! 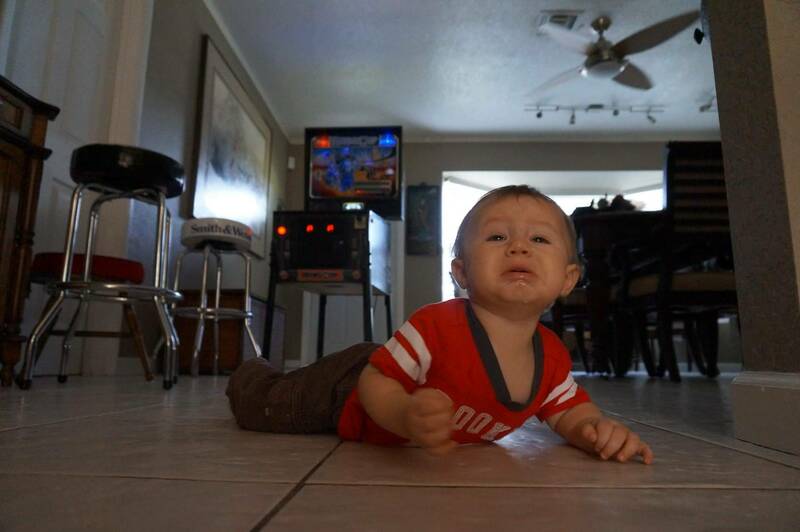 My son wasn't a fan but I loved it. Thank you for your cooperation...goodnight. Yea !!! That's what am talking about !!!! Very nice! I'm not an owner, but I am a fan. ...I do have a dedicated Robocop vid, though. 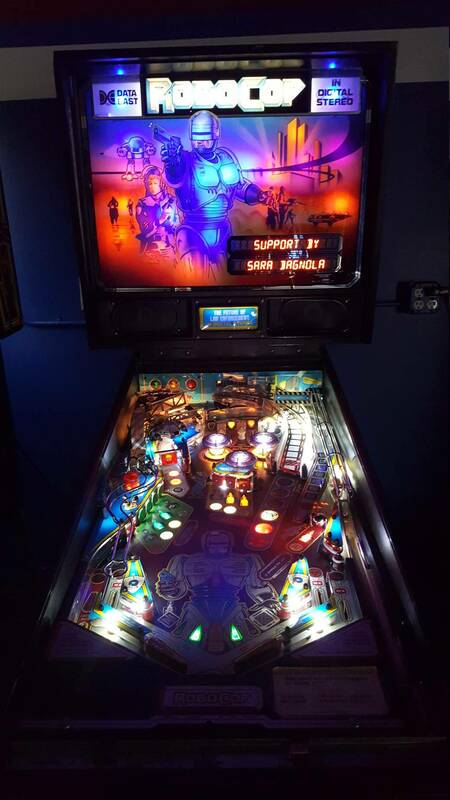 The leds for the backglass really give it great color. Did you put them in there? I'd grab one if I could. It looks in good nick to me from the pictures. 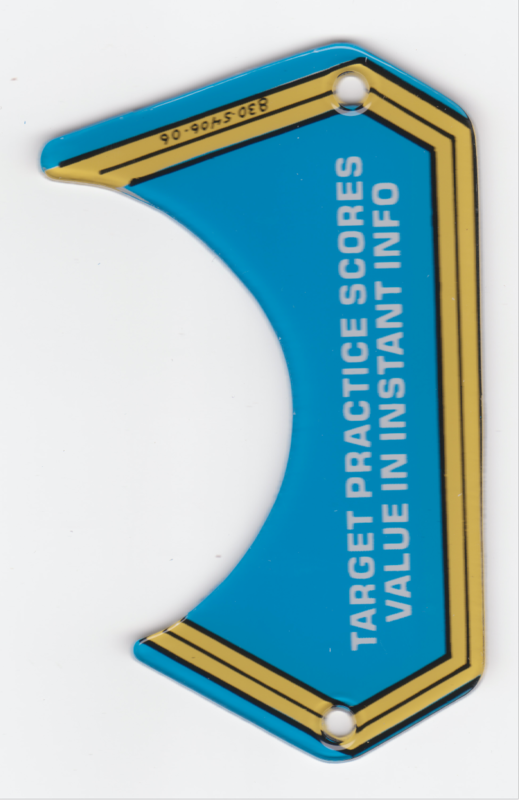 Missing plastic by bottom bumper & lock arrow decal, but if you search on here you can find scans for that. 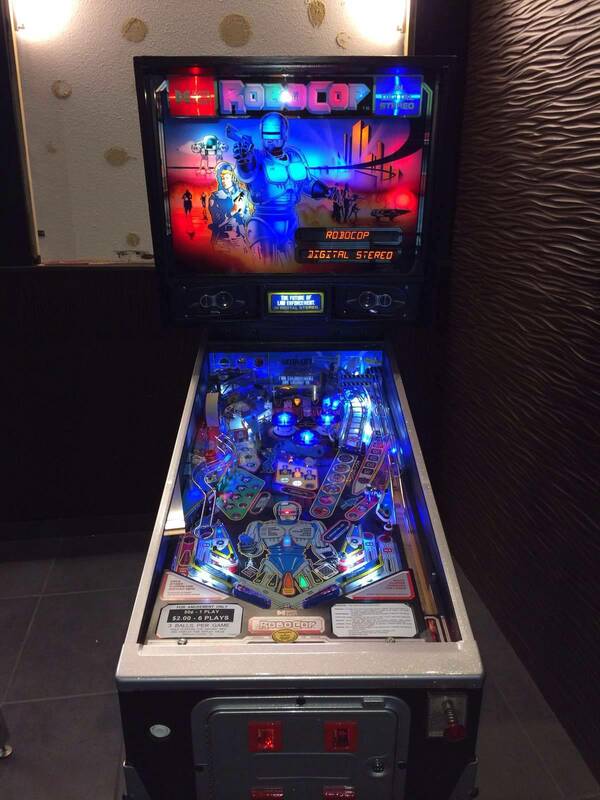 Feel there's too much blue led in the backglass, that's just a personal preference though. Thanks. Enjoy! This is high on my want list! You didn't overpay. 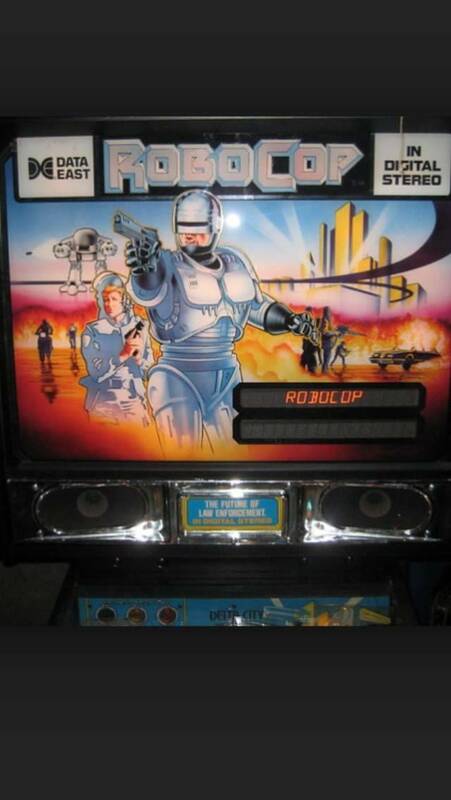 I would pay 1500 in a second for a Robocop. I sold mine for 2100 and it was not as nice as yours. Great job on that back glass. Looks awesome!!! I had a hard time finding parts for mine. Wish I would have kept it. I am looking for another one I my area. Good luck with yours. It is off to a good start. You didn't overpay at all. It looks like it's in great shape. 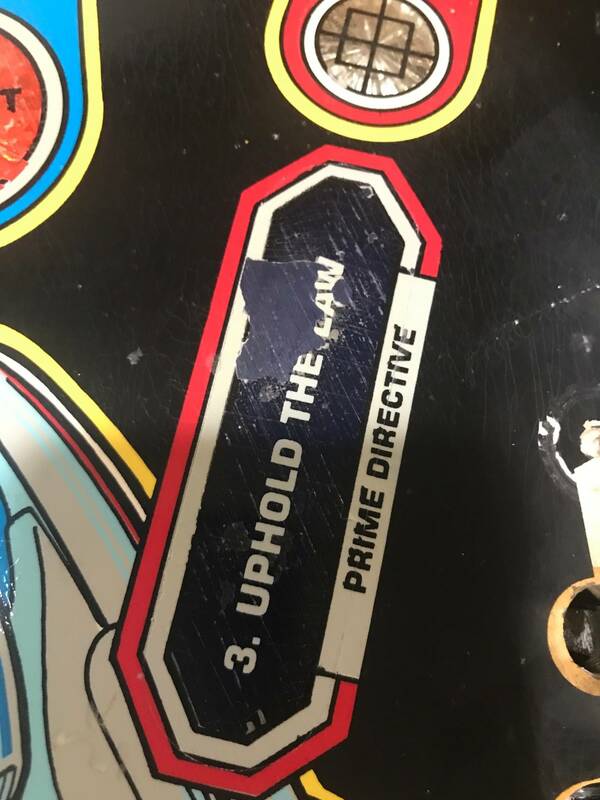 Get some plastic protectors... STAT. They're next to impossible to come by. It's a way better game than people give it credit for. 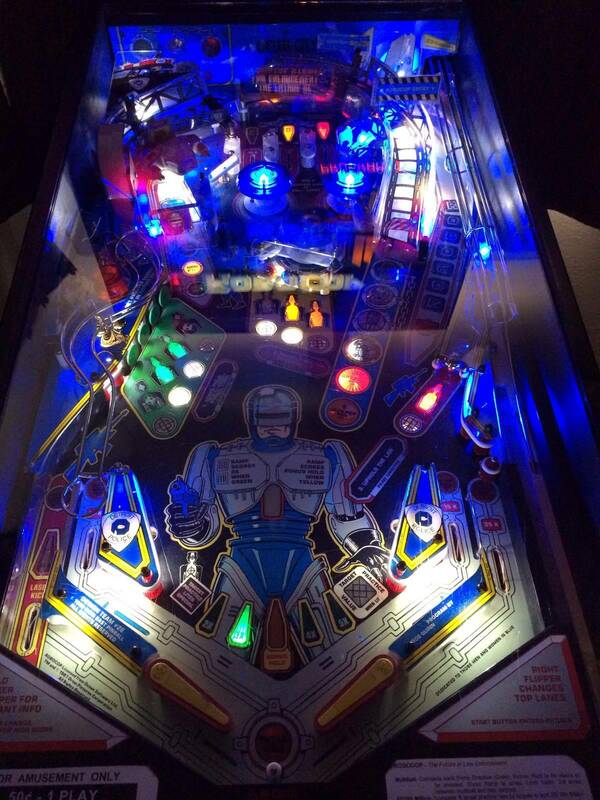 Simple rules, super powerful flippers... what more does a game need to be fun? 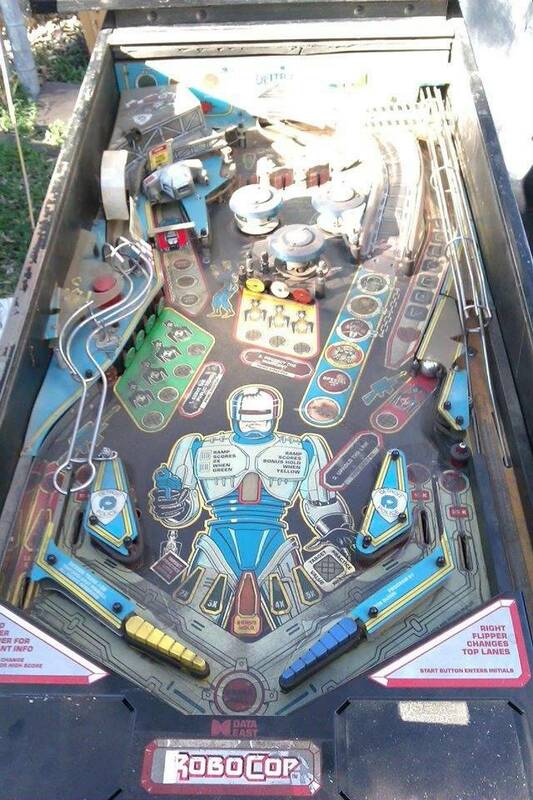 My first robocop was really nice and **reluctantly** i traded it. I hear it ended up going to PAPA. 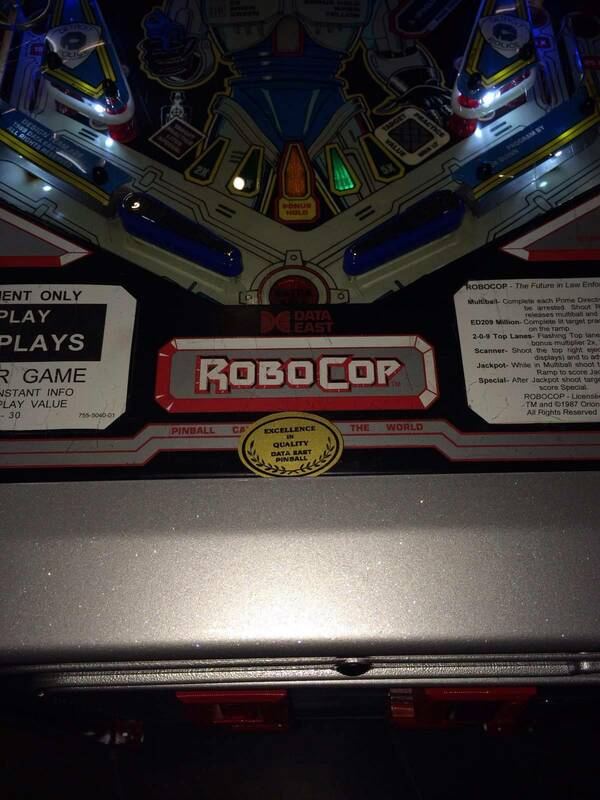 Sold my second robocop last month.. *only bought it to compare to my 3rd*. 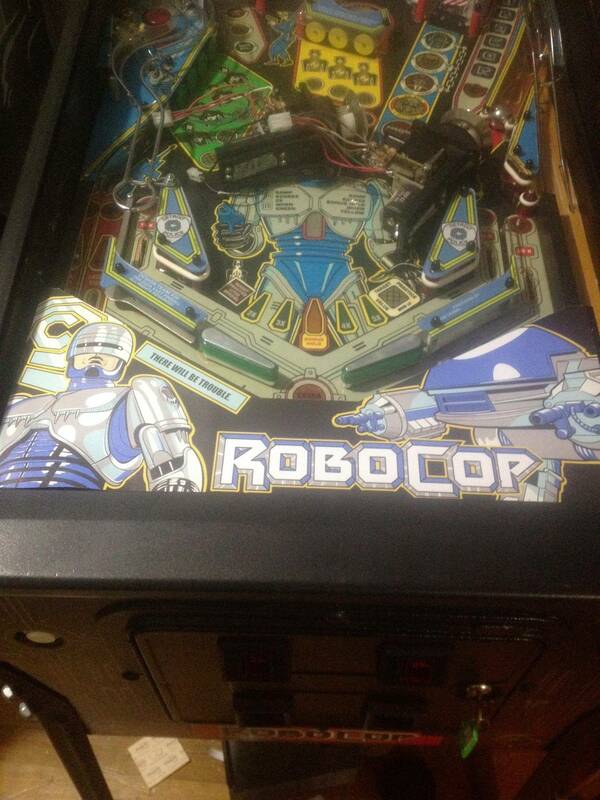 I just got a Robocop. Mine does not have LED's. Do you think it's too bright with LED's I am making my own key fob and a buddy of mine is going to make an OCP mat. 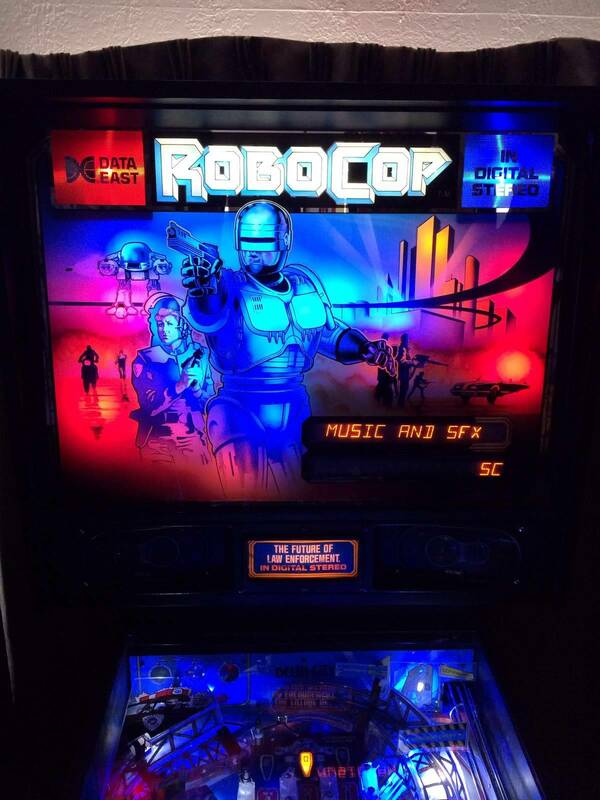 I'll be picking up my 2nd Robocop in the near future. Really digging the powder coating. Nice work! Found a nice example locally and am happy to say that I'm now in the club. The kids and I are really digging this game. Love my Robocop. 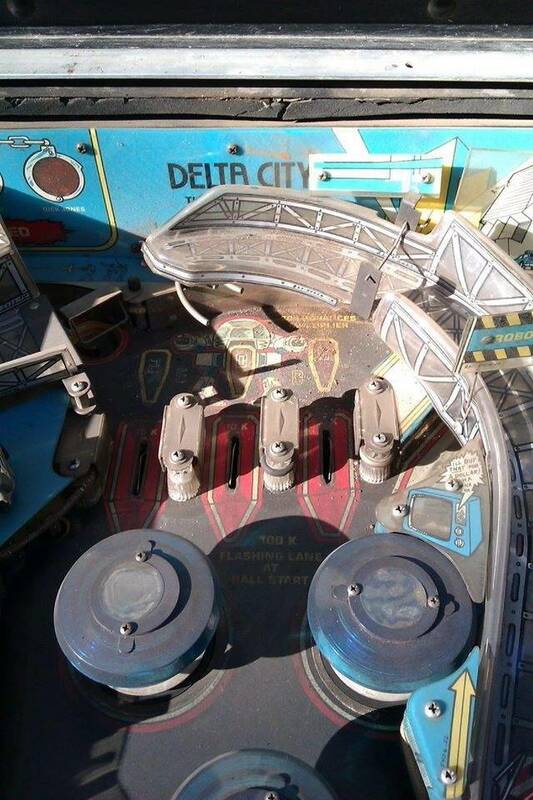 I'm going to restore the playfield on mine, starting soon (I hope). 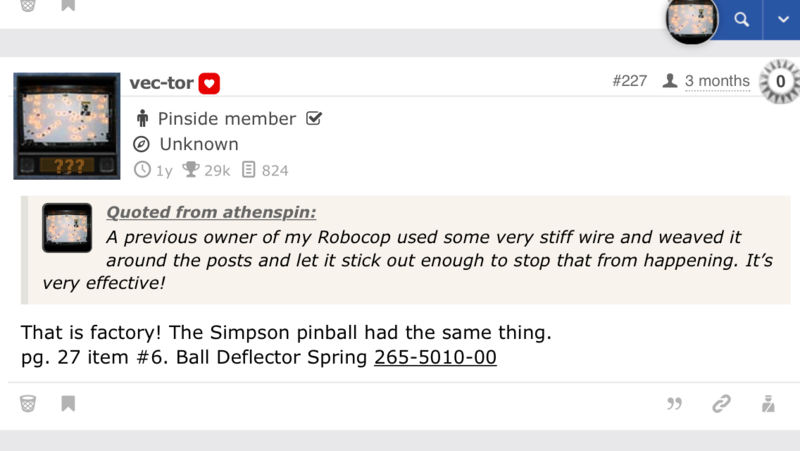 Pinsider Tullster recommended I mod asound, and not disappointed I did. This thing really thumps now! Just having a little fun to see what I can do with some custom cards. 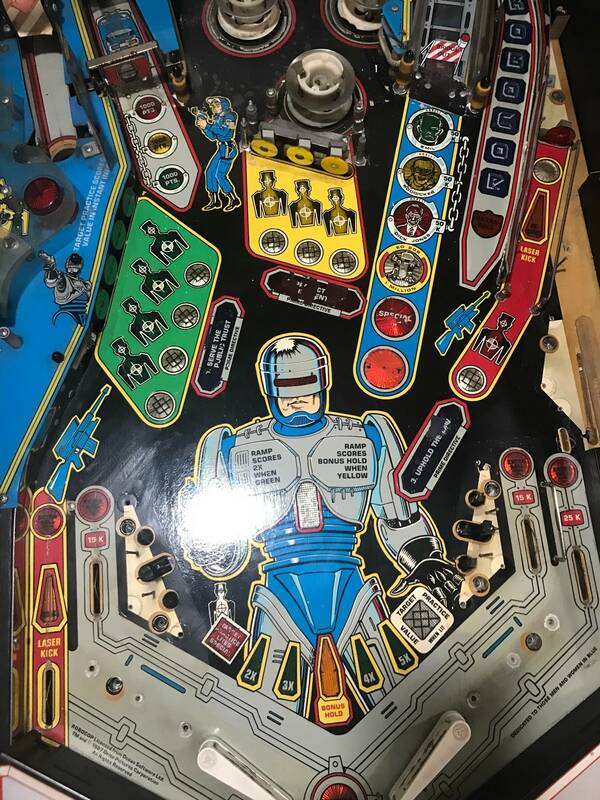 Anyone have any customs that they used for this machine? 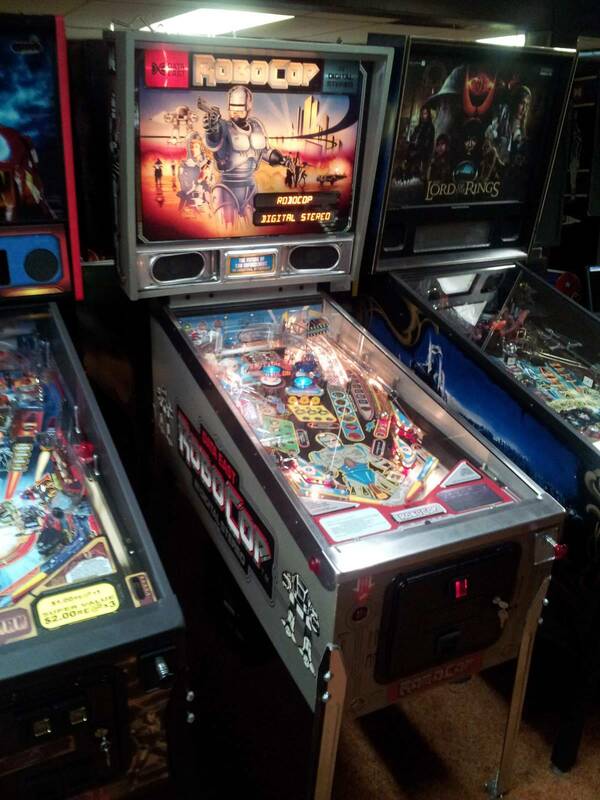 Just got to Austin TX for work and went to Pinballz of course. 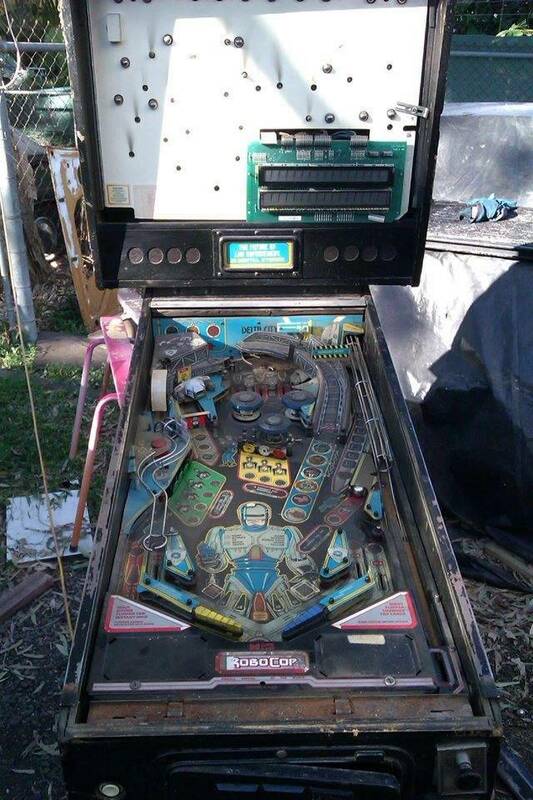 Played a few games on Robocop, I don't think they had it last time i was here. 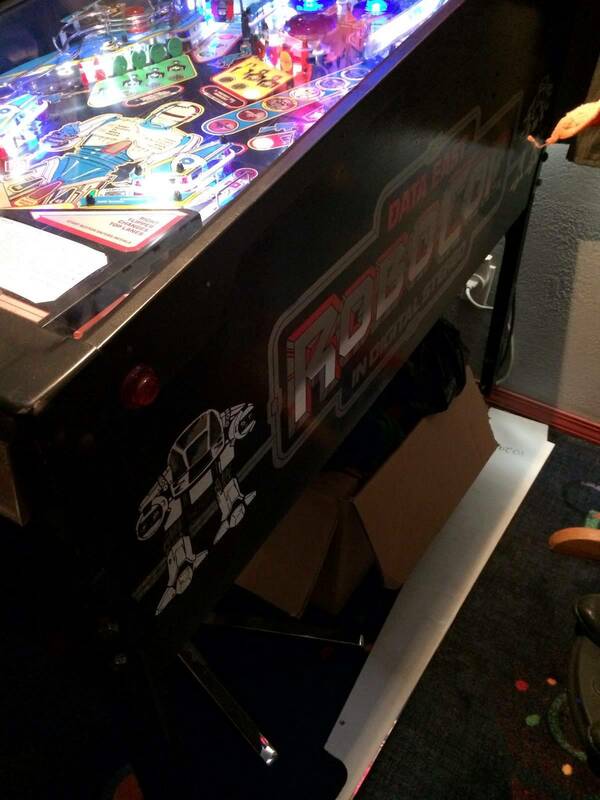 Pretty fun game, not sure if they had the correct flipper coils installed though. 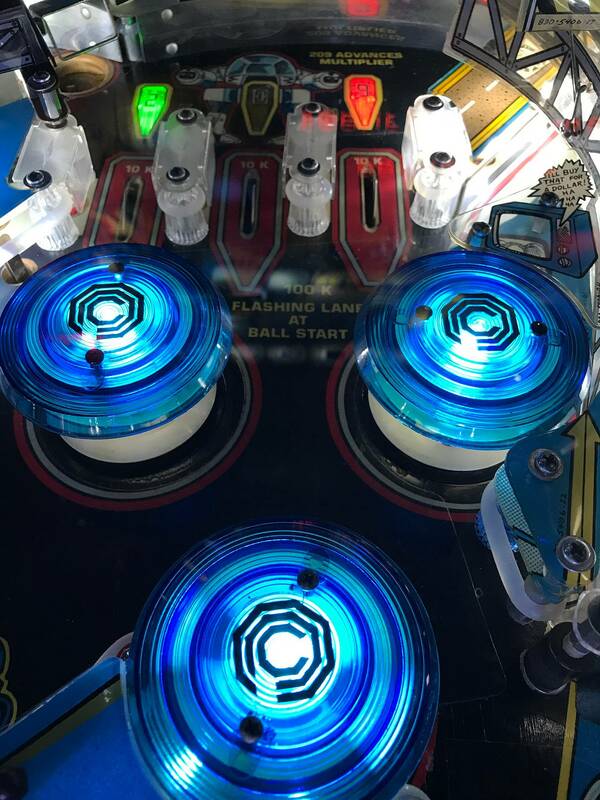 Every time i hit the center targets the ball hits the glass, had a few fly right over the flippers..which is a sure fire way to piss me off. 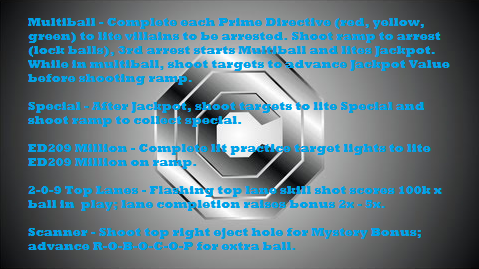 Anyways, fun game, funny callouts. 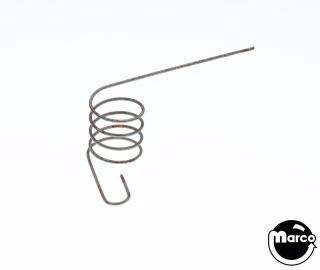 Uh yeah....they more than likely have the right coils installed. 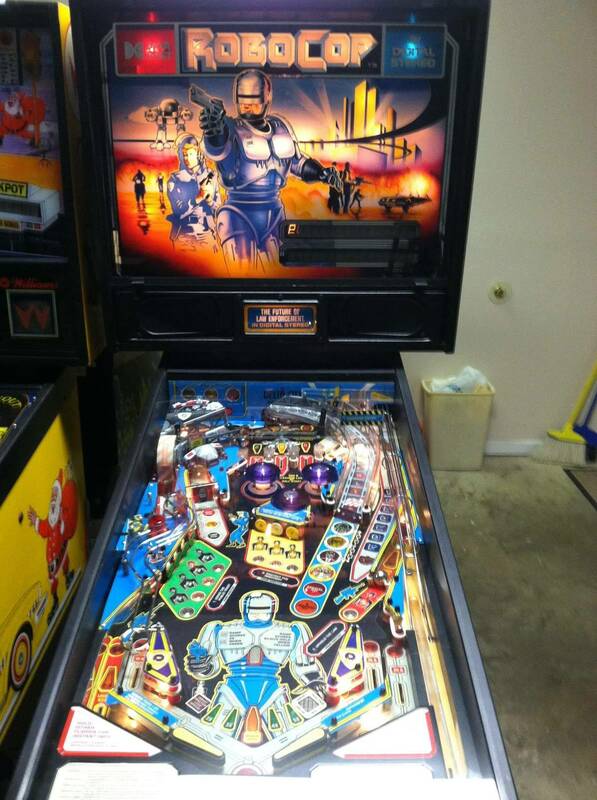 Unfortunately, the stock coils on this game are usually too strong and have to be dialed down. Mine seem fine, but this is what I've always heard. 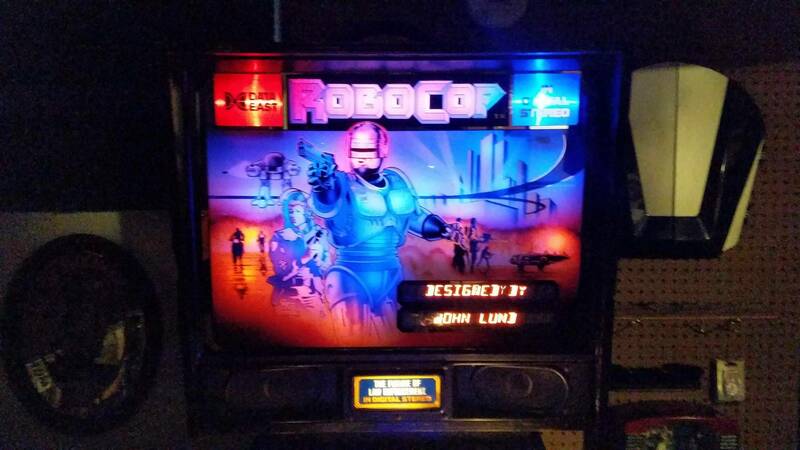 I'm joining the Robocop club this week! 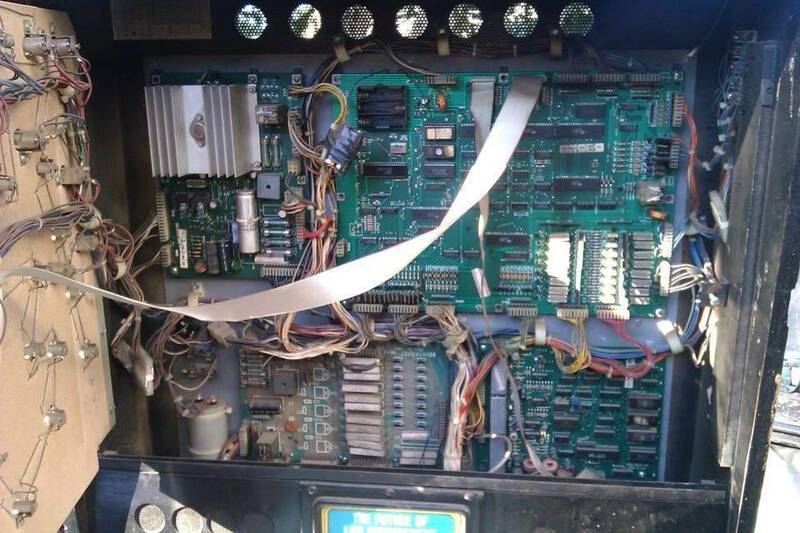 Game has a broken flipper bat, and the guy said last time he plugged it in,it blew the house breaker! I'll start by inspecting power supply! 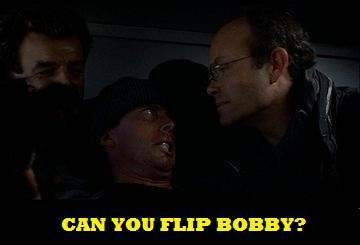 Anyone have a flipper bat? I think I have a single new DE bat lying around the shop somewhere, but if I were you, I'd probably swap them both out, or one may look discolored. Wouldn't be a bad time to swap out your coil sleeves and flipper bushings as well to ensure that it plays well for a long time. 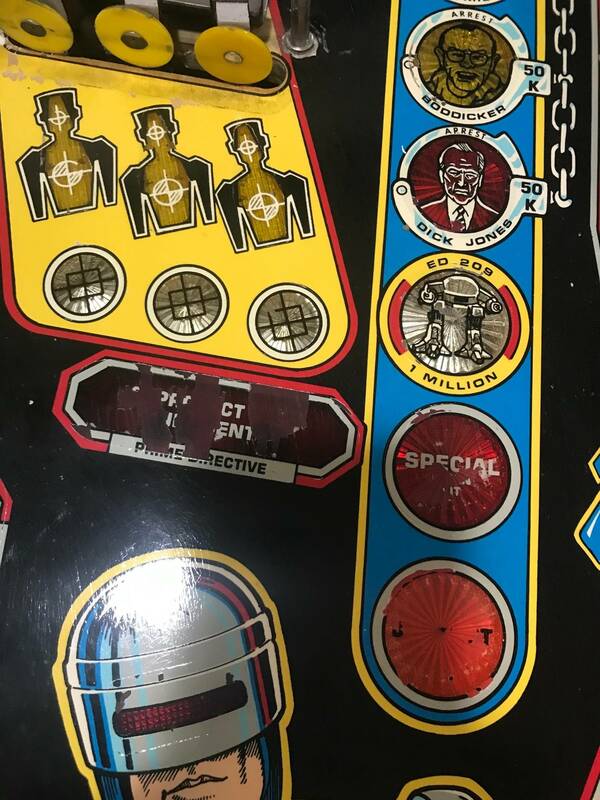 Under $20 worth of parts from pinballlife and worth it in the long run. 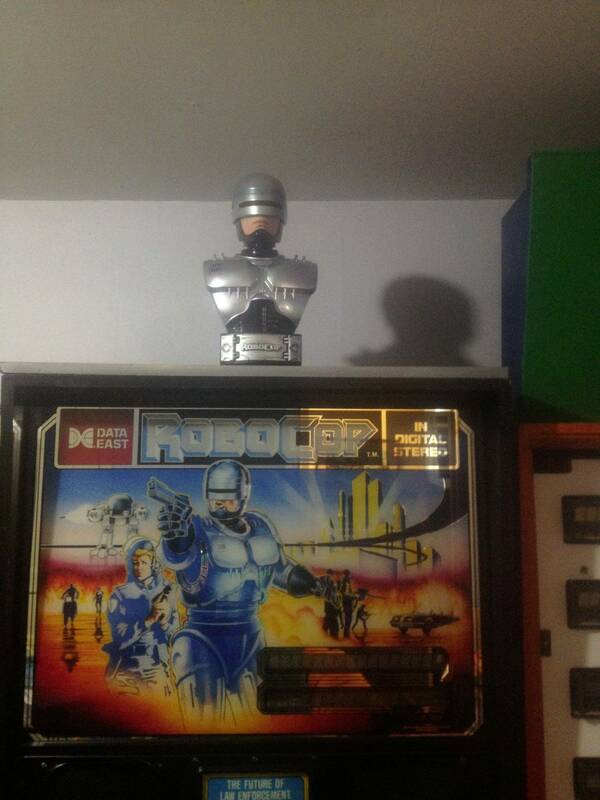 I picked up a Robocop about a year ago. The best thing, I got it for FREE! It wasn't working and this woman wanted it out of the shed. 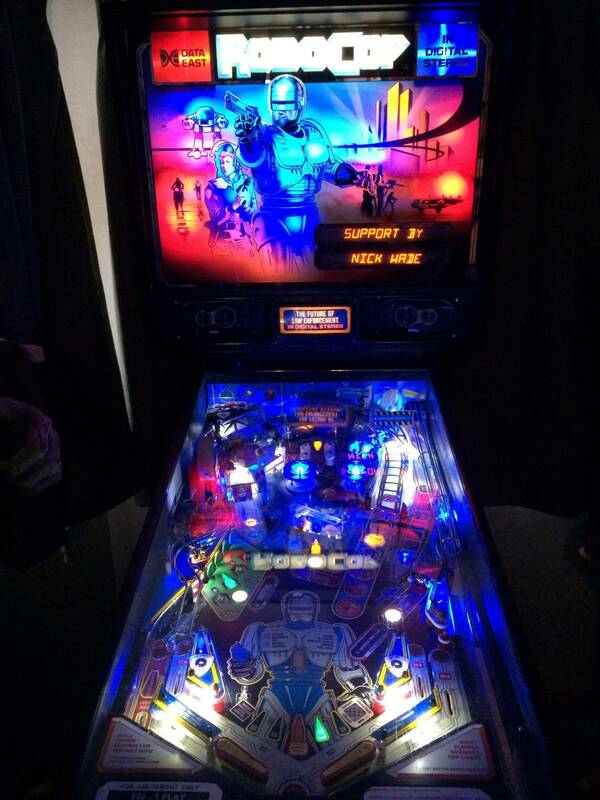 It took a couple of weeks to figure out what was wrong, one solder on the CPU and it is up and running! 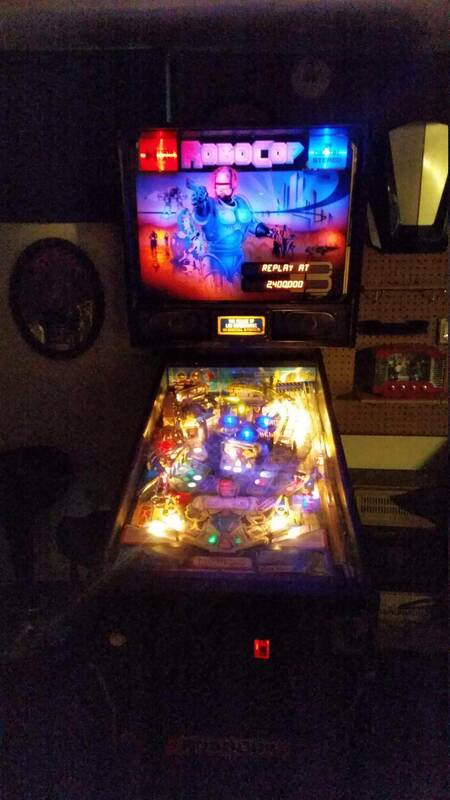 It does need a new display, so I'll pick up a new one of those, and I'm thinking of LEDing some of the lights. The posts above look good. The head photos above look an bit red/blue, but the PF lights look good. Does anybody happen to have a bulb chart of what they used for LED's? I can't even find a list of bulbs for Robocop. I had one and really enjoyed it, up there with my fav movies of all time but sold it as it had problem and I needed the space. 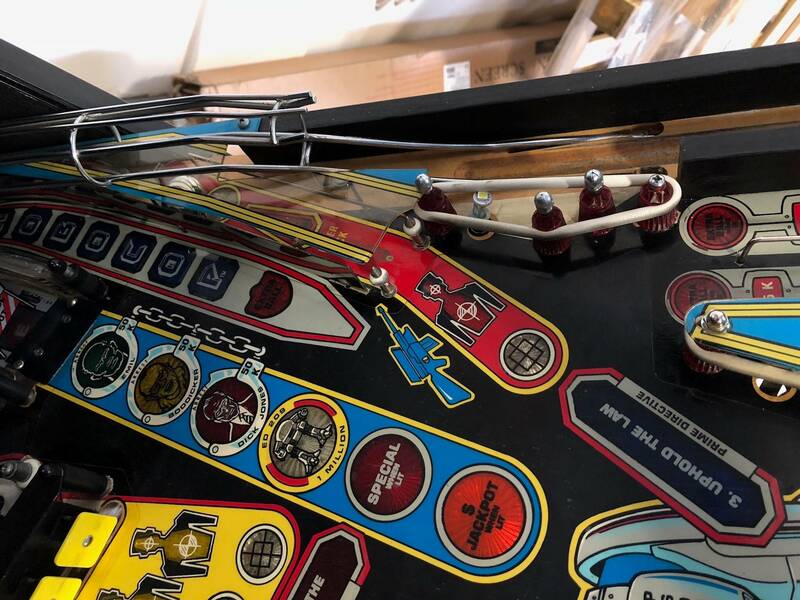 Once I have room for 20 or 30 pins then it will be back for sure. 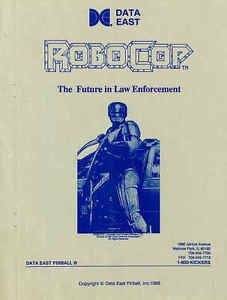 I would love for a company to re make Robocop based on the 1st and 2nd films. That would amazing. 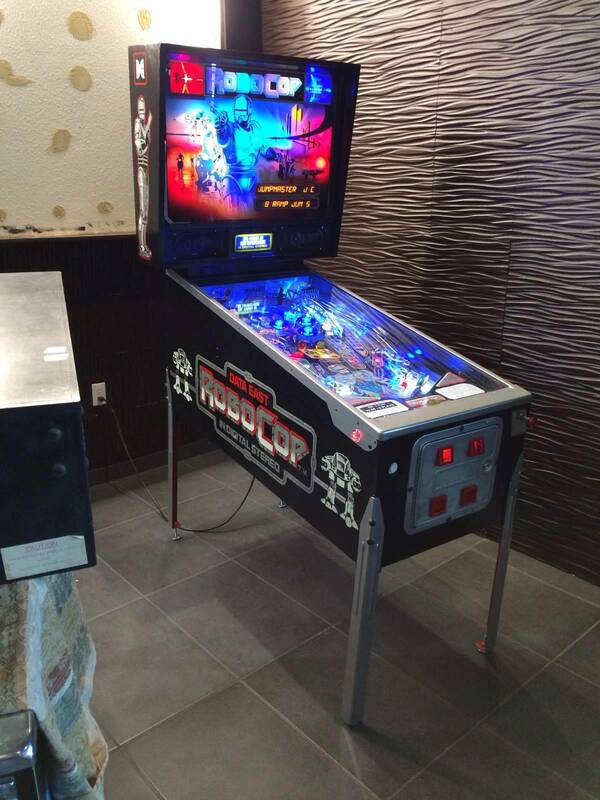 Robocop looks great when it's all LED out !!! I had one... for about two weeks. Just not a game I could see playing 1,000 times. I think it ended up in Chicago. 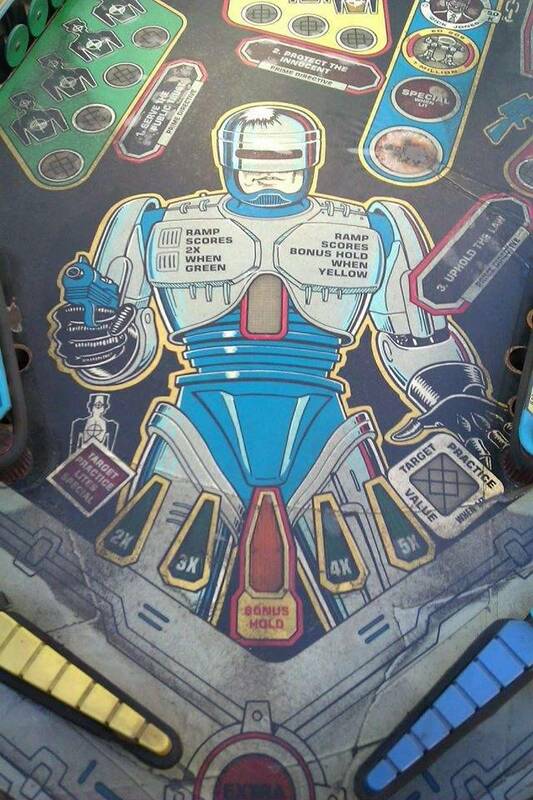 Here you go robocop lovers. The prototype. It's mostly the same as production. It has, of course, the silver metallic cab instead of black. The apron is red instead of black. They used the chrome speaker panel instead of black. There are plastics on the production model that aren't on the prototype.. mostly in places where the ball could get stuck. 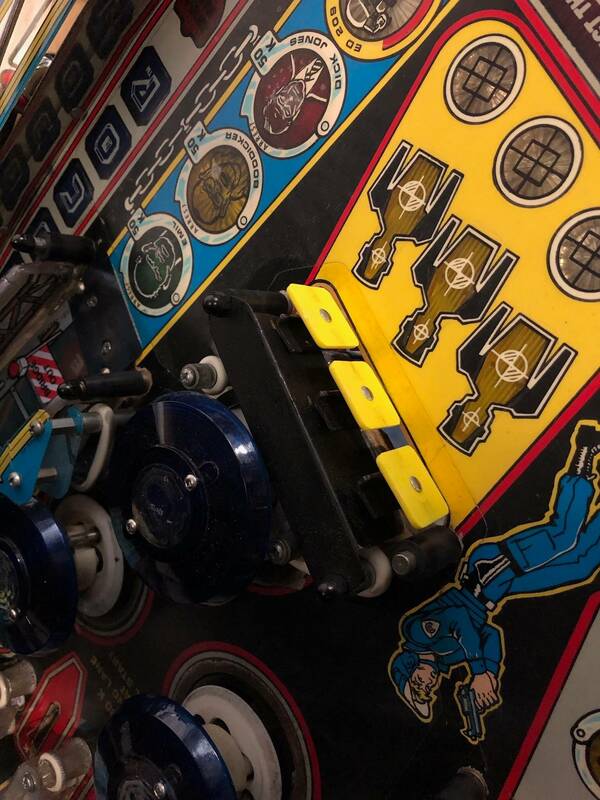 The playfield art is the same as far as i can tell, but they used the same metallic silver as the cab where the production model uses regular grey paint. I'm guessing they did that because the silver metallic come flying off fairly easy. 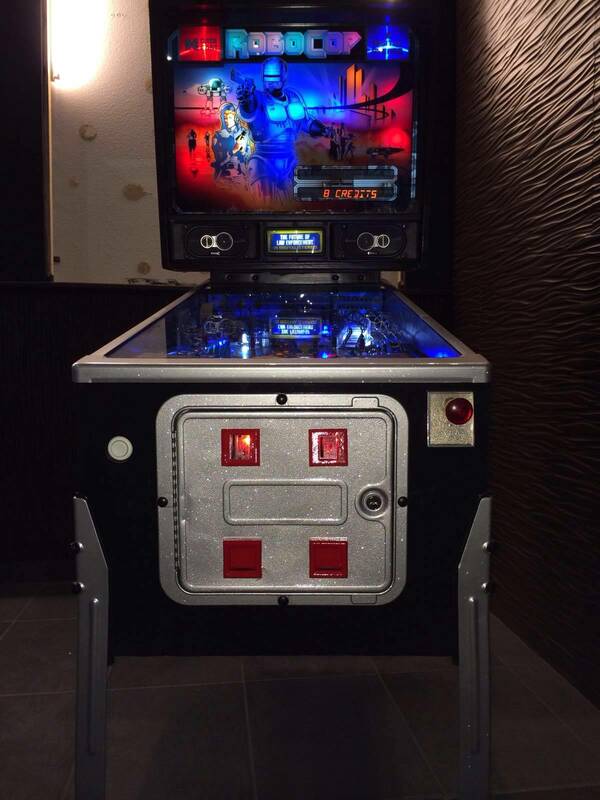 Luckily it just needs minor touch up around the flipper area thanks to mylar. 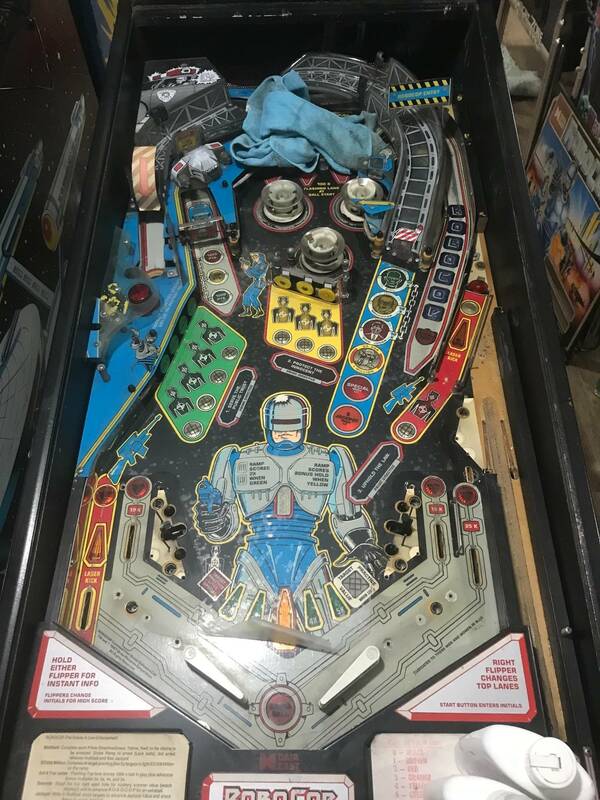 Cool - would love to see a photo of the proto playfield. 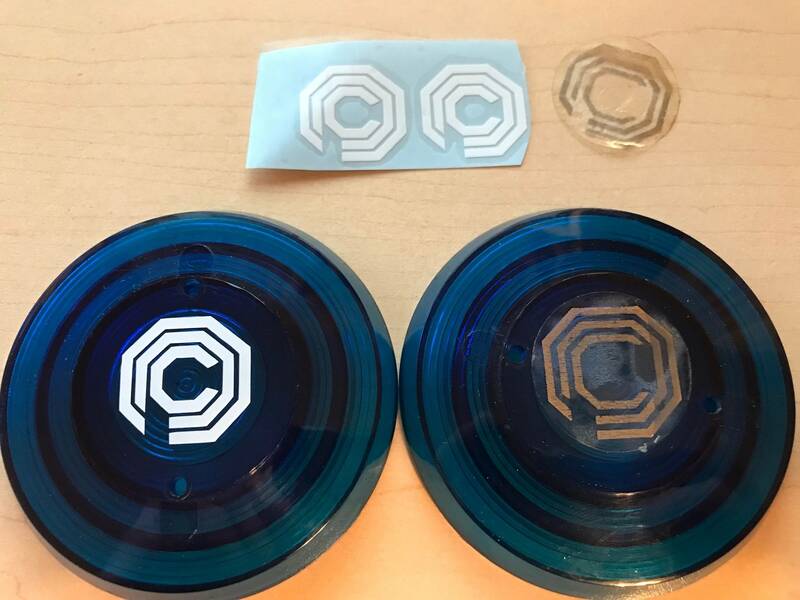 What price do the prototypes usually go for? I have the production model and absolutley love it-- im yet to play 1000 games on it, but really cant see myself getting bored of this. 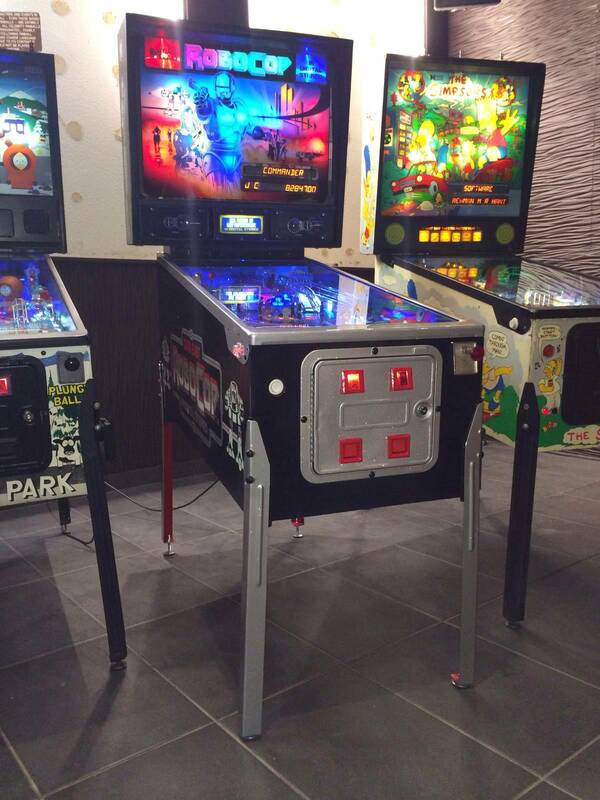 The jump shot isnt easy and takes me a few games to get multiball. Obligatory, "I'd buy that for a dollar" post. 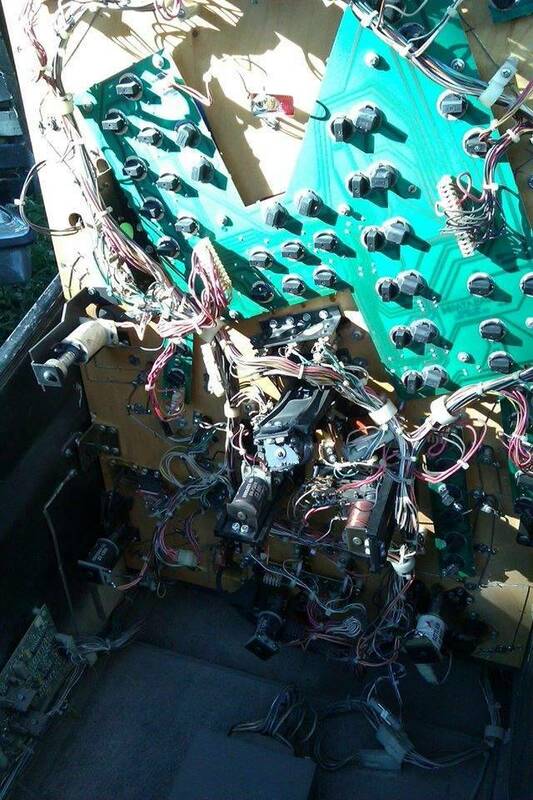 So, can you re-light the jackpot? 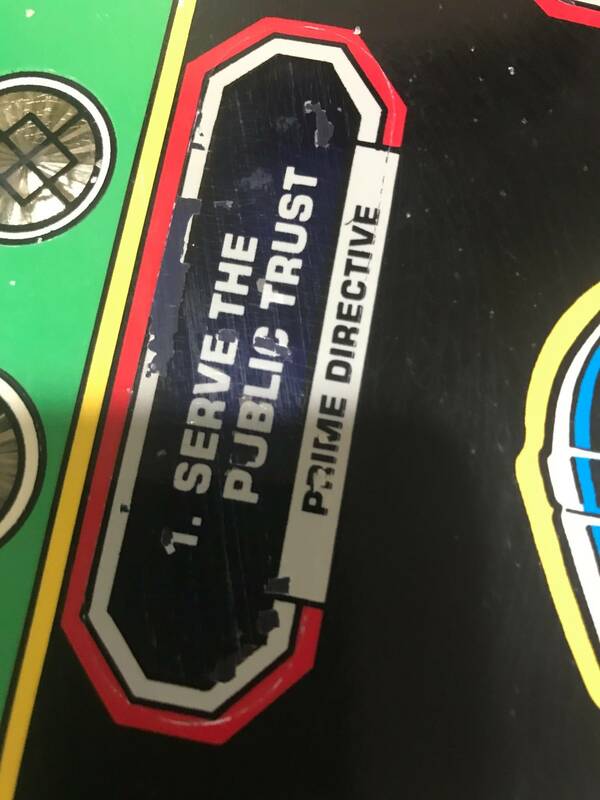 What are you supposed to do after you collect it? I am a new member of this club as well. 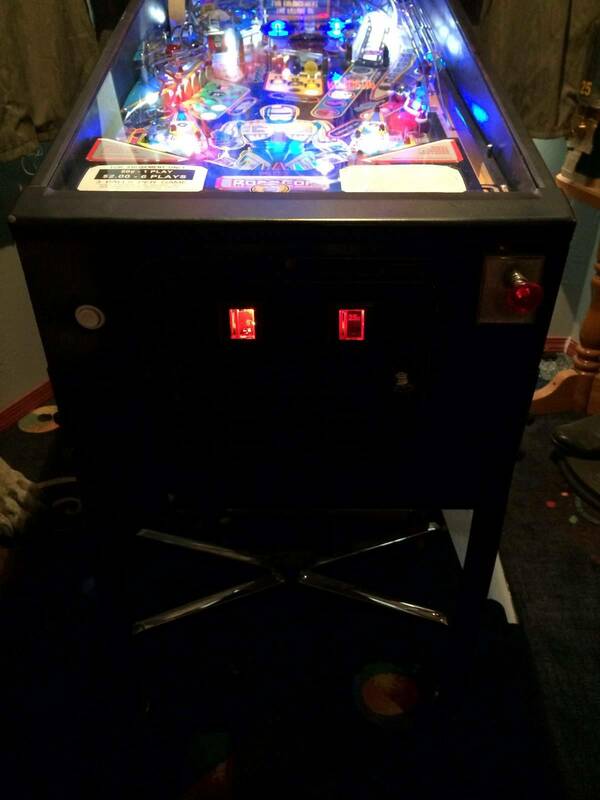 I am looking to do LEDs and I also need a set of plastics and (perhaps most importantly) the two red and blue plastic inserts in the corner of the backglass. Do these ever turn up? How much should my spinner be spinning when I hit it with a solid shot? I feel like mine isn't spinning as much as it should. How do you clean a spinner? What keeps them from spinning smoothly? I'm in. Need to bring this one back from the dead though unfortunately! $190USD though so not a bad deal at all! 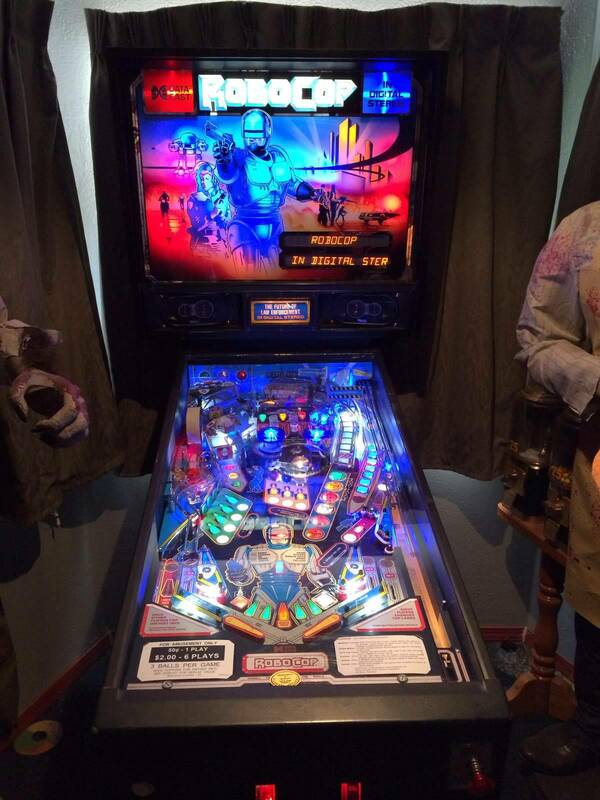 I'm in the club picked one up last weekend not the deepest game but man do I love the theme. Started doing some led's on it and it looks so nice need some sling plastics and the center plastic like all the others it seems. Hey Bulk I was thinking the same thing I don't get a bunch of spins out of mine not like the video I saw it seemed like that one spun forever and gave lots of points. Dude, the LEDs make a massive difference. Mine looks great now. I've had some trouble getting the POLICE lights under the ramp to come on. IDK when they are actually supposed to fire off or what. As far as the spinner I hit it with some super lube and it has improved but still isnt quite to where the one in the video is. I believe mine is still a little bent (not square). 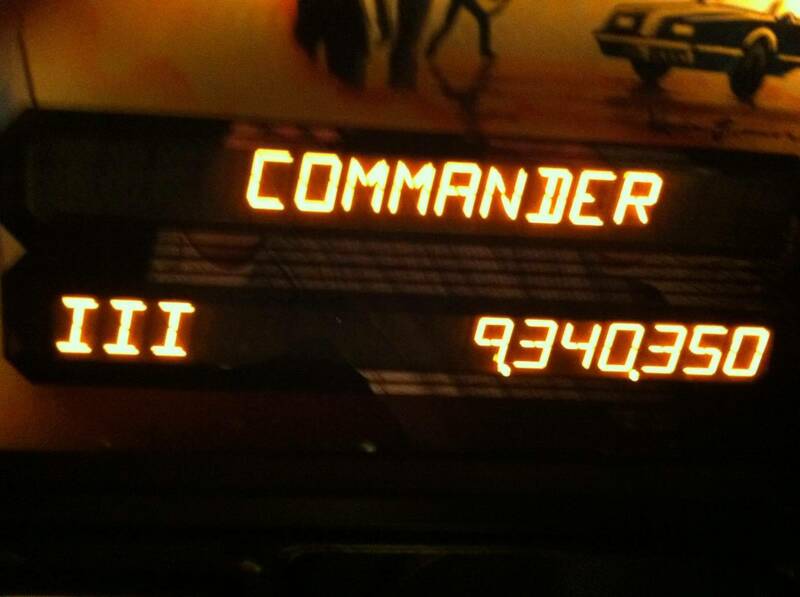 I was unable to get it perfectly square but it has improved enough to make a huge difference in scores. For the LED pattern I copied what TNT did in their youtube video with a few minor changes (swapping whites in for blues) in the backglass. Yeah yours does look nice! I did the backglass in led's and all I can say is WOW! 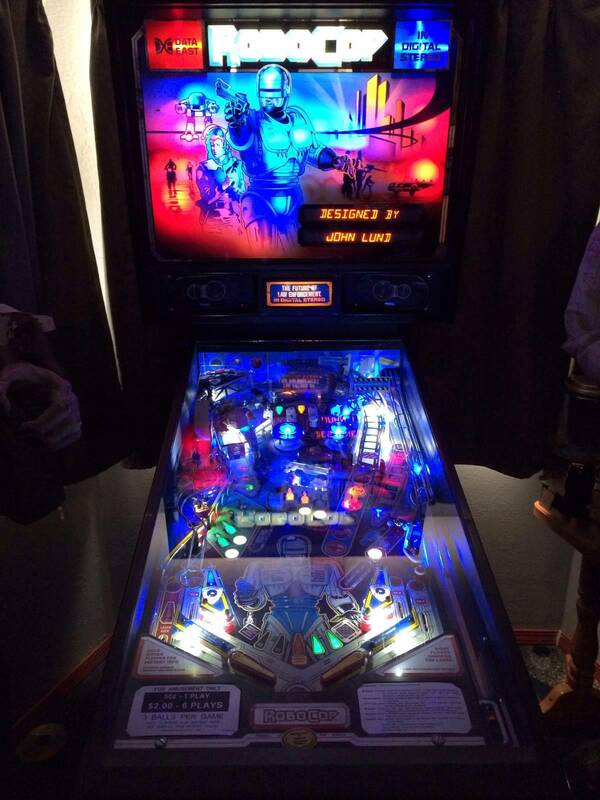 I have an original backglass with the red and blue at the top and man does it look nice LED'd out. I need to now do something with the spinner I might try a new spinner or maybe some lube. Not sure about the police lights i dont remember them ever coming on I will have to look at mine.